It starts with a chase. When Spencer Plain is pulled out of school in the middle of the day, he never expects to be speeding down the highway with his uncle, trying to outpace the car that's tailing them. And he certainly never thought he'd find himself fleeing from a bear through the woods. And when he hears the bear say "We've been expecting you," Spencer knows he's just uncovered a whole world he'd never imagined. He's brought to Bearhaven, a secret oasis his parents created for bears. But there are depths to Bearhaven that Spencer and his new bear cub friend, Kate, start to uncover. Spencer finds out he's been there before, even if he can't remember. He also stumbles into a rescue mission being planned, to save a bear in danger. He knows he can help, and he's desperate to find clues to his parents' whereabouts, so he and Kate decide to take matters into their own hands - even if they discover a secret that could threaten Bearhaven's future! 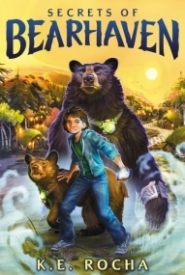 Spencer Plain is well aware that his parents study bears and help to rescue ones that are being abused, but he had no idea of the extent of their involvement until they go missing... and he ends up in Bearhaven. Here, the bears are fitted with a voice translator and can communicate with humans! Spencer meets Professor Weaver, his wife Bunny, and their daughter, Kate, and has to work with the bears, as well as his uncle, to find out what has happened to his parents. In the meantime, they have to try to locate the bear Ro Ro and her cubs who have been kidnapped by the evil Margo to be used in the horrifying bear baiting at Grady's Grandstand. I'm not a fan of talking animals in books, but Secrets of Bearhaven drew me in with its fast-paced narrative, sympathetic characters, and enjoyable world building. 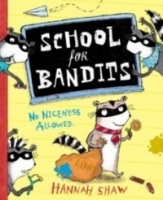 No time is wasted in getting Spencer to Bearhaven-- the book even starts with his exciting entry and then goes back to lay more groundwork for us, which is a brilliant way to start a middle grade book. Spencer doesn't blink (at least not for long) when the bears can speak to him, and the readers are also able to easily suspend disbelief. The details of life in Bearhaven are delightful-- honey and berries for breakfast, salmon and green salads for dinner, cozy homes, and even Cadillacs adapted for the bears to travel in. The villains are deliciously evil, and the back story of Margo in particular is well done, since she is the villain behind Bearhaven being started. While Spencer's parents are missing, we do end the book with some hope of where they are, and I imagine that the series will continue until they are found. For readers who enjoyed Iserles The Taken, Hughes The Unnaturals, or Hunter's Seekers, Secrets of Bearhaven is an intriguing look at what skills are necessary to succeed in rescuing bears who fully conversant in English as well as Ragayo. Rolling boulders-- who knew it would be such a handy skill?